The White Horse Tavern is open every day except December 25th. and from 5 pm – 10 pm Friday and Saturday. There is a small lot directly behind the White Horse Tavern that is available on a first come first serve basis. There are also pay-to-park lots adjacent to the tavern. In addition, there is street parking and metered spots. Please take note of all city signage regarding parking restrictions. While at one time diners at the White Horse Tavern dined in full suits we are a bit more casual in today’s day in age. We suggest smart casual attire, which includes slacks, denim trousers, blazers, button down shirts, sweaters, dresses. Please no athletic wear, hats or sleeveless shirts. with dining rooms on both the first and second floors. The stairways are narrow so please inform us of any restrictions you may have when making your reservation. The women’s restroom is located on the first floor of the Tavern and the men’s restroom is located on the second floor. Our famous oversized fireplaces are lit only in cooler temperatures. They are not typically lit in warmer months. The Tavern has a small bar and three small tables located on the first floor at which seating is on a first come first serve basis. and standing around the bar stools or tables is not permitted. There is a second bar located on the second floor of the Tavern and is general open weekend nights and holidays. Reservations are highly recommended year round at the White Horse Tavern. such as New Year’s Eve, Valentine’s Day, Thanksgiving, and Christmas Eve. Please visit Open Table for reservations of 6 or less people. If you do not see your desired time or prefer to call to make sure reservations we can be reached at 401-849-3600. For parties of 7 more please call the Tavern directly at 401-849-3600. 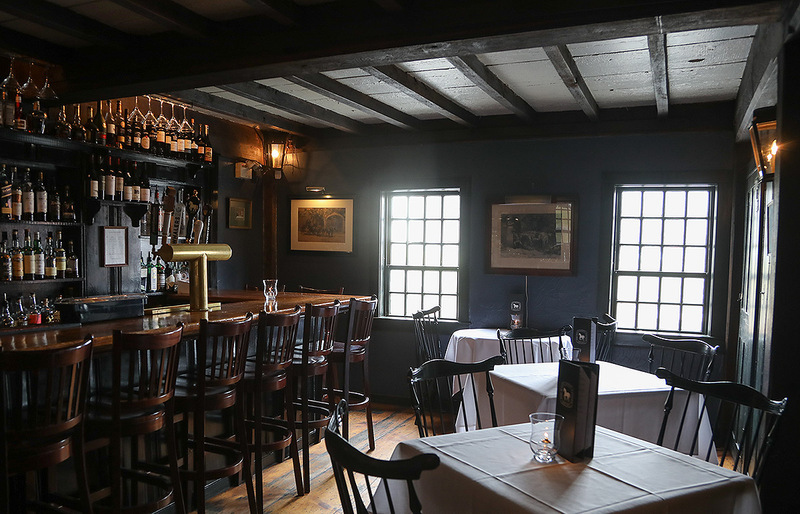 To host a private party at the White Horse Tavern please contact Britton Pruett at 401-849-3600.
such as New Year’s Eve, Valentine’s Day, Thanksgiving and Christmas Eve. Please inform us of any allergies you may have when making your dining reservation. If you are celebrating a special occasion please feel free to inform us when making your reservation.